Welcome back to our series all about fleas! In part one we discussed what fleas are and how to identify that your pet or home has a flea problem. In this article, we will talk about how your pet got the fleas and how you can help prevent transmission. It can be incredibly frustrating when you spend the time and effort to keep your pets safe from blood-sucking pests such as fleas and ticks, only to find that they are suffering from a flea infestation! Even if your pets stay close to home, fleas are sneaky creatures and they will find ways to get onto your pet and into your home. All it takes is a few fleas to get established in your yard, and in seemingly no time, they have set up a full-scale infestation, of your yard, your home, and your pets. But, how do these critters make it, so successfully, into your yard and home? No yard is an island —at least, not here in Conroe— and, unfortunately, there is no way to keep every wild animal out of your yard. Even with a tall, electrically charged fence topped with barb wire, squirrels, raccoons and other small rodents will find ways to get into your yard. And, yes, when they visit, they carry fleas, flea larvae, and flea eggs along with them. 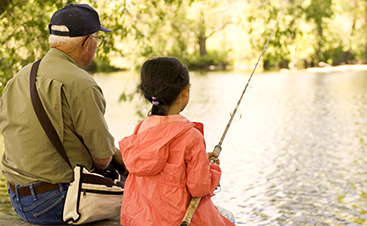 The more visitors you have, the greater the chance of an infestation. Feral cats that roam onto your property are notorious carriers of fleas. This is just one of the many reasons not to encourage wild animals to come into your pet’s environment by leaving out offerings such as pet food, peanuts, corn, and even birdseed. 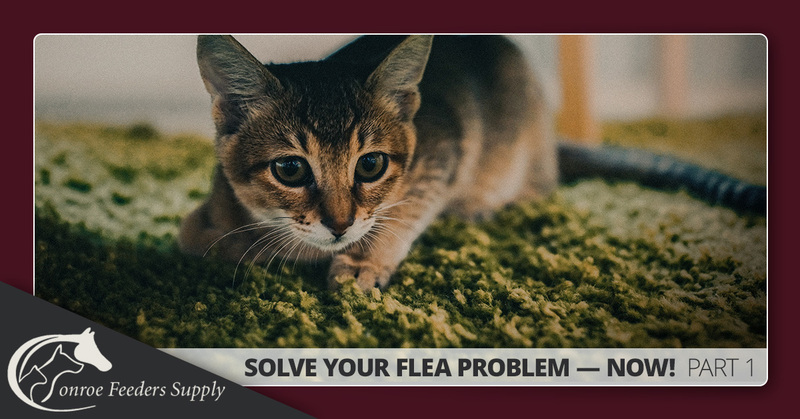 Once the fleas have made it onto your property from some other animal, they will take up residence in your grass and wait for another host — your pet — to wander by. Fleas have even been known to enter homes through open windows, even ones that are screened in. Anyone coming into your home could cause a flea infestation. Unknowingly, friends and family coming to visit can bring fleas from their own home, or their walk through nature, without their knowledge. 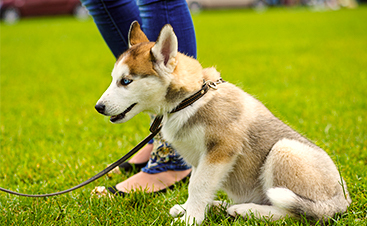 Likewise, when you visit family or friends, you could pick up fleas from their homes or lawns and bring them back to your property without knowing it. Fleas like to hitch a ride on your pant legs, socks, and shoes. Remember, these pests are just looking for a host, of any kind, from which they will acquire their next blood meal. Be extra cautious when house sitting for someone or when you have someone take care of your pets while on vacation. Flea transmission can easily occur here. Anytime your pet goes out into the world — even if only for a visit to the groomer, the veterinarian, the day spa, or even the boarding kennel — he is being exposed to the possibility of fleas “hopping aboard”, enjoying that blood meal they so desperately need, and coming home hidden deep in their hair coat. This is not to make you fear you or your pet leaving your home or allowing anyone or anything to visit, but simply to make you aware of the potential threats and the importance of aggressive flea prevention and control. Even with proper flea prevention, it is important to continue to monitor your pet for signs of a flea infestation and intervene quickly if one is identified. For all of your flea prevention, control, and treatment needs, visit us at Conroe Feeders today! Stay tuned for our next article in the flea series where we will discuss what other complications a flea bite or infestation can cause.